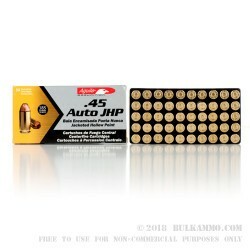 Despite the huge resurgence of the 9mm in recent years, as well as the constant presence of the .40 S&W in handgun circles, the venerable .45 ACP trudges on seemingly un-phased. Much like the .45 projectile itself, it is hard to deflect, impossible to ignore. 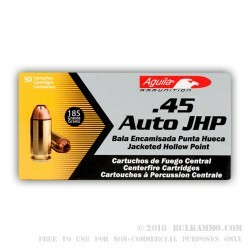 The .45 ACP remains a formidable caliber with many excellent ammunition options, many of which have been proven thousands of times over in combat and other lines of duty. A good number of law enforcement agencies have transition away from hot hybrids like the .357 Sig and have decided that the “in-between” .40 S&W is too much in-between. 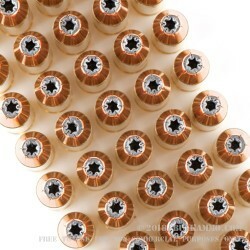 That leaves stepping down the affordable and easily controlled 9mm, which is very popular. 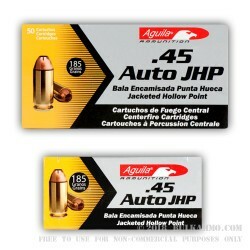 Or they can step back up to the heavyweight champ of auto-loaders, the .45 ACP. And quite a few agencies are surprisingly doing just that: moving on up. 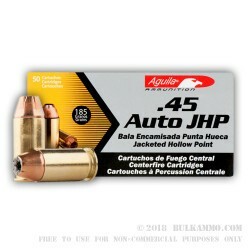 The .45 ACP does give shooters a nice, wide array of options. 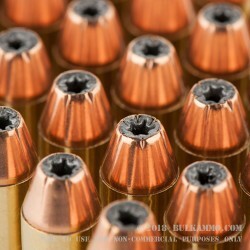 Let’s face facts: the 9mm is a good option in a purely urban environment but everyone would rather carry a .45 ACP if their beat takes them into the remote parts of the world. There are just no replacements for displacement. A big 230gr projectile is a better option to crush the bones of a brown bear instead of 115gr or 124gr 9mm bullet. 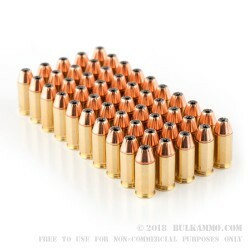 But the .45 also allows the shooter to step down to the relatively lighter 185gr projectile, which would be morbidly obese in a 9mm, on the hefty side in a .40, but exits a .45 like a greyhound. 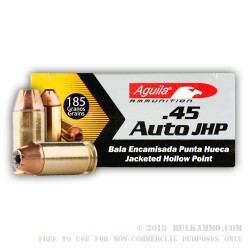 Aguila’s 185gr JHP does just that, leaving at around 1,000fps with about 400ft/lbs of energy. 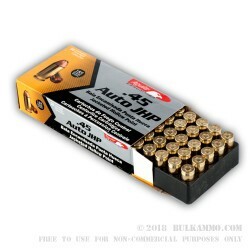 This is very suitable in a duty handgun or any of the single-stack concealed carry pistols on the market without tearing the shooters wrist off. 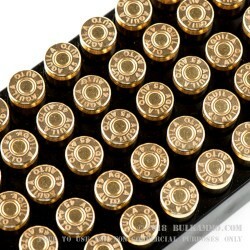 The biggest drawback to the .45 ACP is the price of ammunition; it is significantly higher than 9mm. But Aguila is combatting this by providing good ammo at a fair cost. 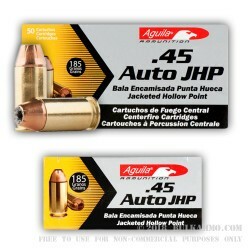 So go ahead, grab up a box of 50 and send some downrange. Call this a trial size. If you think it’s as good as we do, we’ll happily provide you a case (or more). Happy shooting!